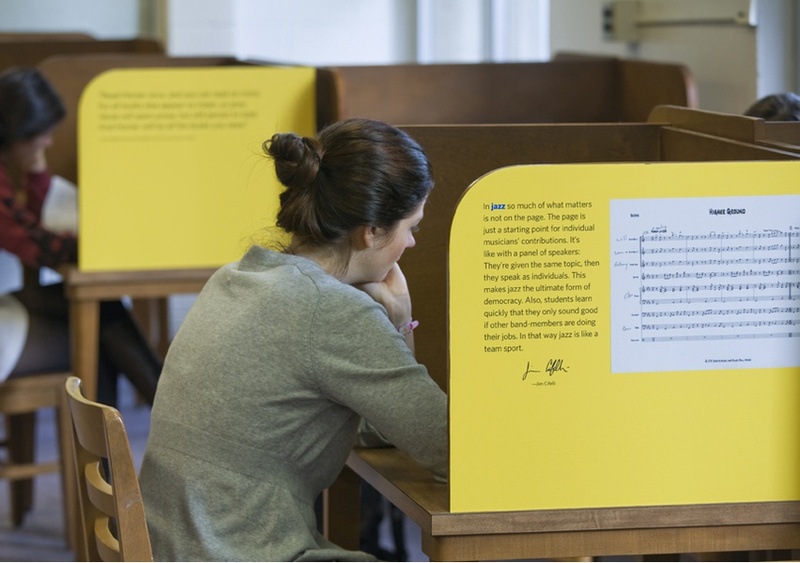 For the 300th Anniversary of Trinity School, C&G Partners created a series of new installations inside the school's own libraries. 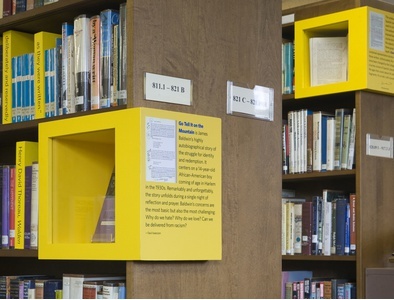 The pieces include new "bookspines" that contain quotes from the books located near them on the shelves, "bookends" that display books especially important to Trinity's history, and "bookfins" that fill the walls of study carrels with historical stories about Trinity education milestones. To find all of the hidden features, students must explore the whole library.